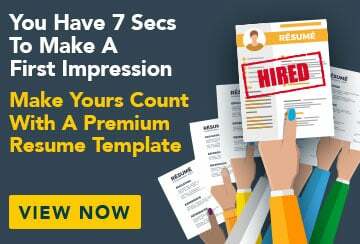 This free sample cover letter for a business development manager has an accompanying business development manager sample resume and business development manager sample job ad to help you put together a winning job application. I am writing to apply for the position of Business Development Manager, as advertised recently on SEEK.com.au. I am a highly organised, creative and motivated professional with extensive experience in business development, currently employed with Down to Earth Engineering Solutions, a market leader in engineering, management and technical service provision to the resources sector. In my present role, I am involved in high-level strategy development and am responsible for maintaining strong relationships with key contacts in existing accounts, as well as developing new contacts and relationships. I also keep a close eye on market trends and identify gaps and niches that represent new business opportunities. This involves continual business prospecting and bidding, and maintaining high volume pipeline management. I enjoy nothing more than big-picture, forward thinking but am also very analytical and thorough in developing business plans and strategies. I am very much a team player and thrive in a stimulating and dynamic environment. I have an MBA and a Bachelor of Engineering Technology. My engineering background has given me technical expertise and extensive experience with CAD, CAM and PLM. I am also proficient in all Microsoft applications. My goal is to continue learning and developing my expertise in my future role. I believe that I would be a perfect fit for Thompson and Shore and that this is a role in which I could continue to exercise and broaden my business development skills. My resume is attached and I look forward to being able to discuss the position with you further.